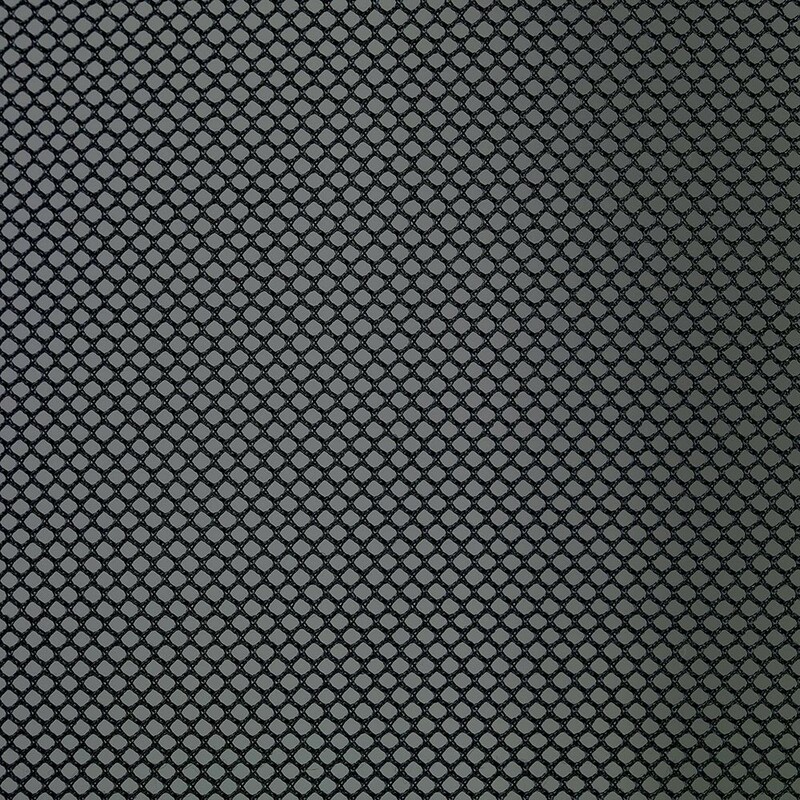 8ft Replacement trampoline net for round trampoline. 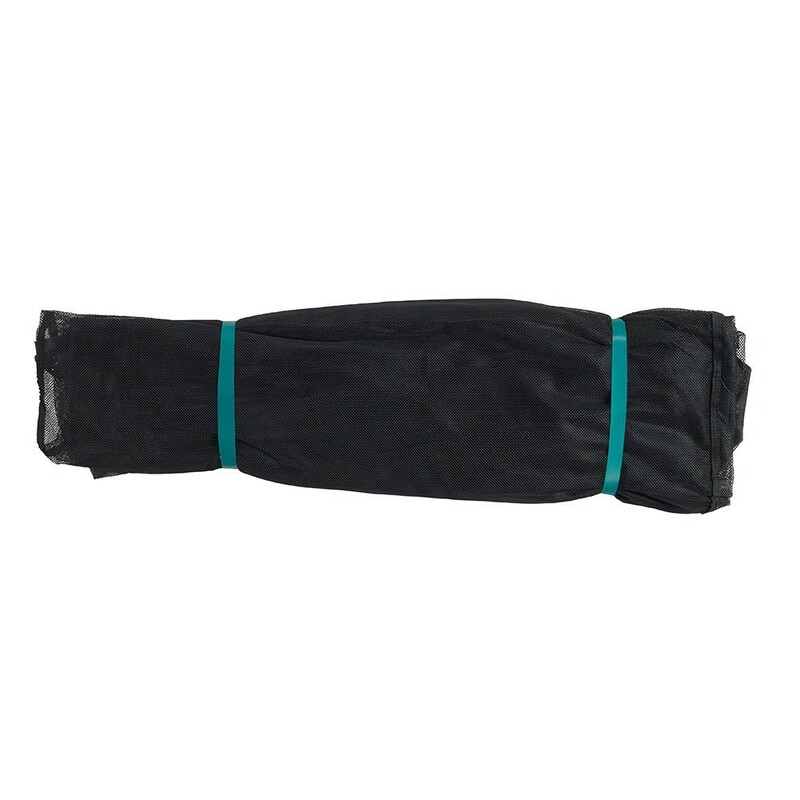 Textile premium net with flap opening for 250cm wide round trampolines. The textile net, sold individually without net posts, will allow you to replace only the damaged part without replacing the entire structure. 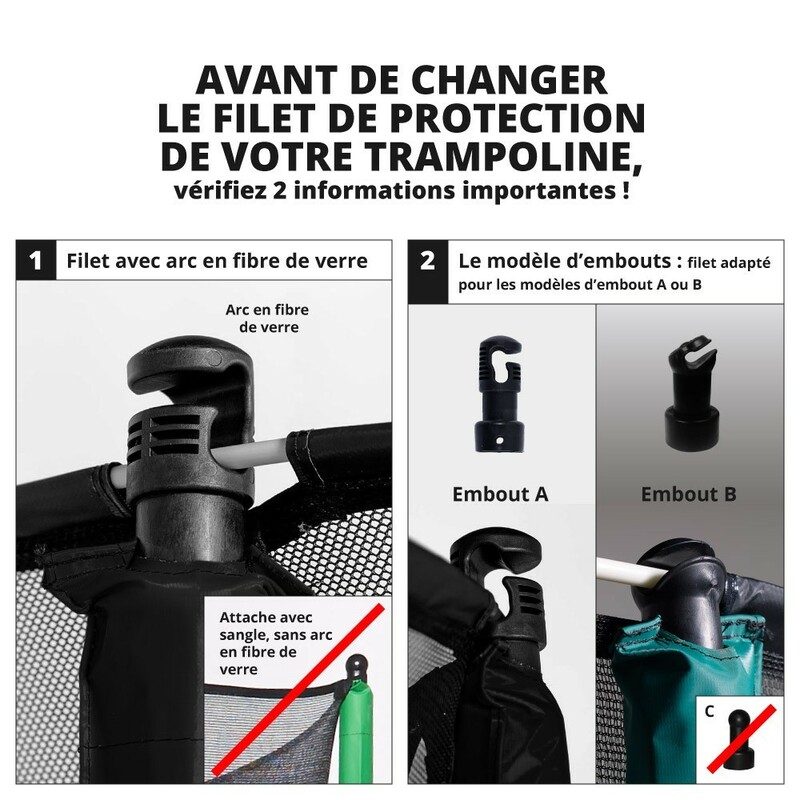 It is suitable for all round 250cm trampolines with 3 feet. 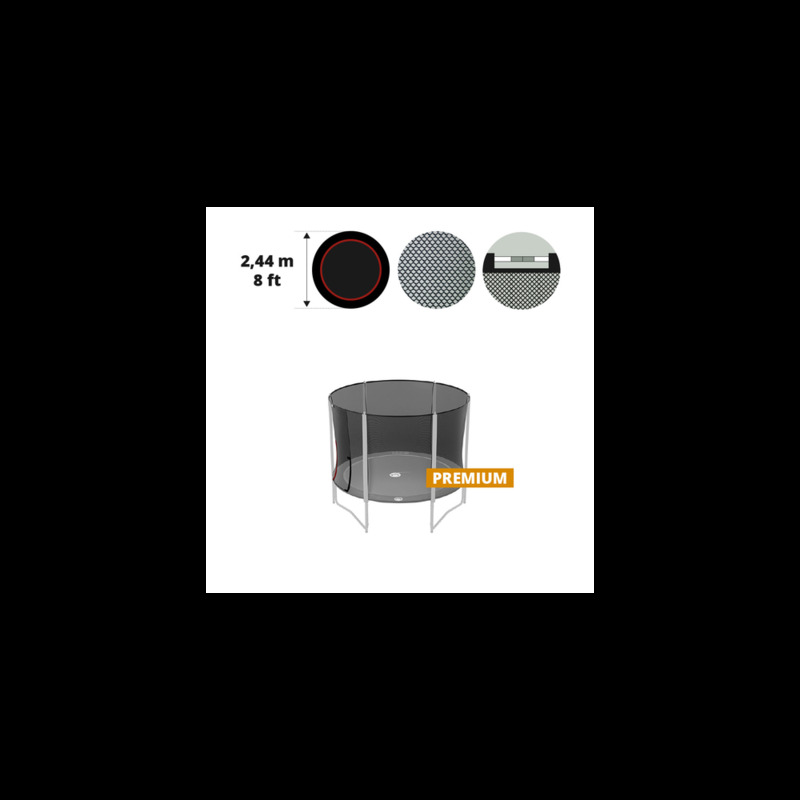 - For 8ft/244cm wide trampolines: this net is designed to secure round trampolines with an overall diameter of 244cm. However, it must have 3 feet. - 6 2.10m-high posts: the original net your trampoline's safety enclosure must be provided with 6 net posts that are 2.10m high from the ground up. Warning, this net is sold without the net posts. - Fiberglass rods: the net is held by fiberglass rods (not included). Remember to keep your original fiberglass rods. If your fiberglass rods also need to be replaced, you can find them on our website. - Secured opening: the premium safety net has a secured flap opening. The opening is red, you can close the door by using the Velcro strap and plastic clips for more security. - Polyester netting: very fine and ultra-resistant, designed so that no child will get their finger caught. It has been treated against UV rays to preserve its quality.